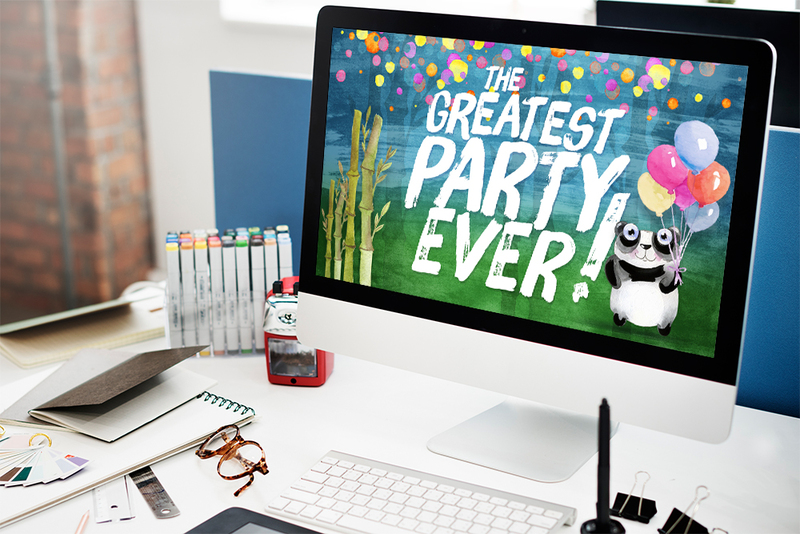 This VBS theme is “The Greatest Party Ever!” While Heaven is going to be an amazing experience, the greatest party includes living for Jesus now. 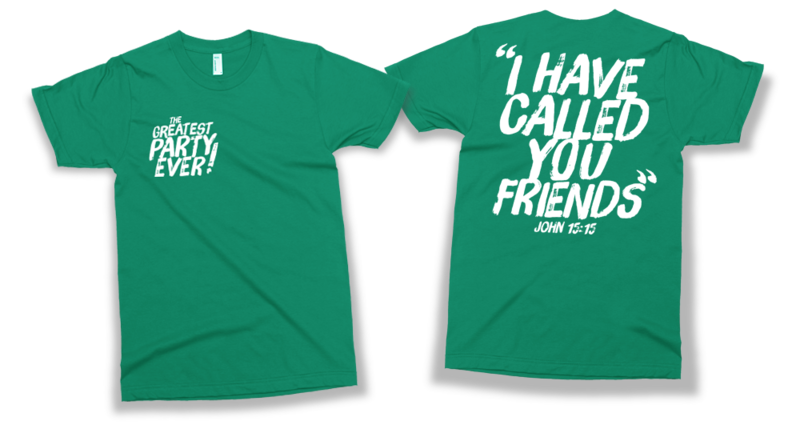 We are praying that children will know Jesus as their friend, learn how to be great friends, and serve their community as their light shines in the world. 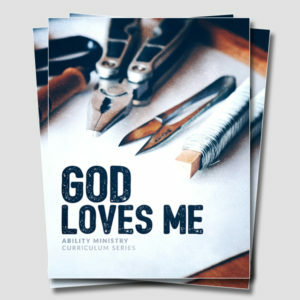 This package provides you the tools necessary to help children learn about the greatest party ever, know more about God & Jesus, as well as make new friends and have lots of fun! Documents & Forms: These include party announcements, craft, snack & game instructions, part lessons, small group information, meeting overview, team leadership checklist, theme overview, VBS tips, detailed scheduling options, a customizable welcome letter, and a sample waiver & release form. Apparel: Hi-res front and back vector files ready to be sent to a printer of your choice. 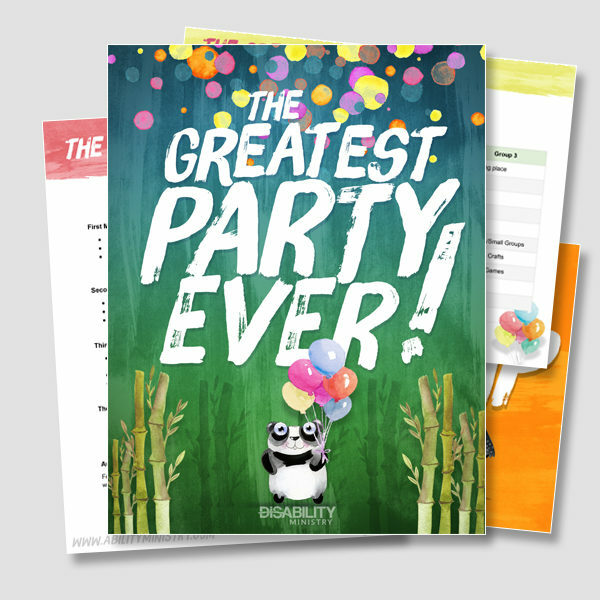 These are themed with “The Greatest Party” and feature the memory verse on the back. Name Tags: We have created a name badge template using a popular Avery template that can be purchased at major office supply retail locations. 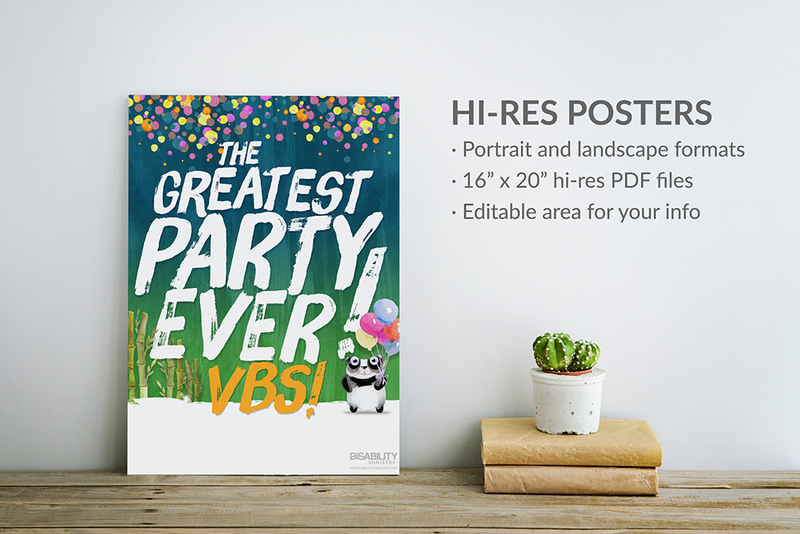 Posters: There are both portrait and landscape versions of a 16″x20″ poster for VBS which includes a customizable area. 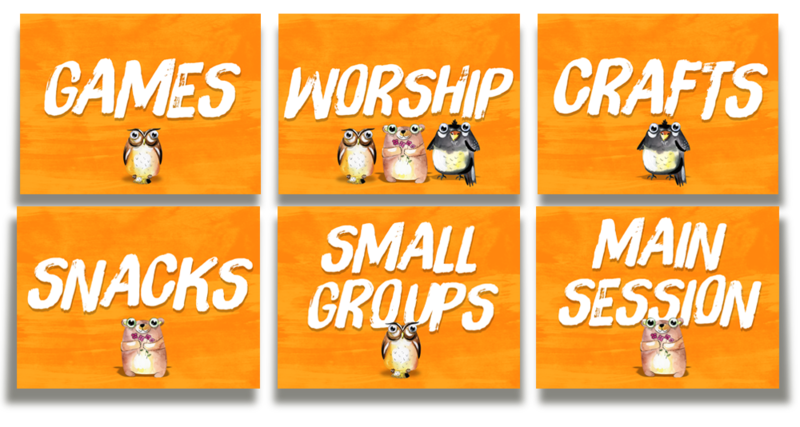 Presentation: A PowerPoint presentation, broken out for each day of VBS. The presentation also features video ASL tutorials for the memory verse. 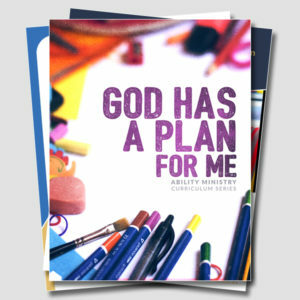 Signs: Formatted 9″x12″ signs for each “station” at VBS, such as games, registration, etc. Social Media: Teaser graphics sized specifically for Facebook, Twitter, and Instagram about VBS. There is also a 5-day countdown included. 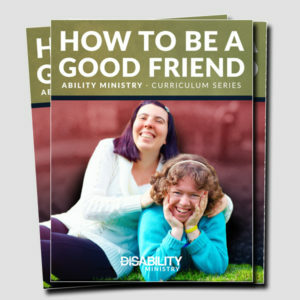 Ability Ministry Information: We have included information about our First Steps, Next Steps, Accessibility Checklist, as well as our Disability Ministry Locator. 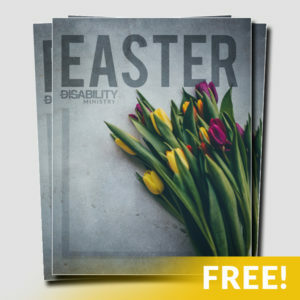 Pre-made signs for each station, such as games, crafts, worship, registration, etc. Note: This product is entirely digital.